Complete set includes Driver and Passenger Top and Bottom. Sorry no lid cover yet. 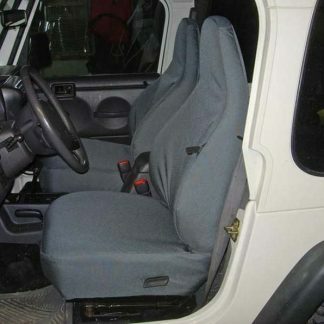 Equal sized bucket seats with integral/non-adjustable headrests and no passenger center console. Seat cover is two peice Top and Bottom. 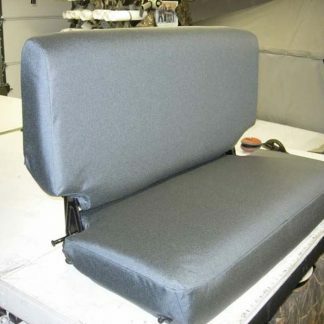 Picture is a seat with our Smoke Grey Cordura seat covers. Solid Bench seat, folds and tips forward, removes easliy.